Our partner programme is focused on providing support to make selling live camera streams easy for our partners. By working closely with marketing companies, digital communication agencies, web designers and content professionals we create a true network of opportunities. Opportunities that will help end customers increase their online exposure, web traffic and sales through social media sharing, improved search engine ranking and longer visit durations. 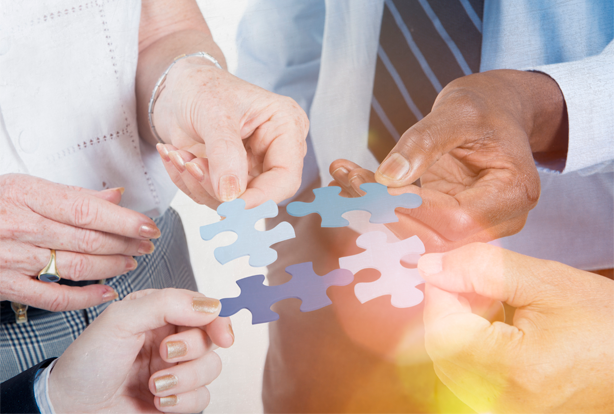 Together we offer an integrated design solution that will provide customers with a smooth, bespoke service and a maximum return. Streamdays is available to partners worldwide. Become part of the Streamdays Partner Network and grow with us. In a survey amongst Streamdays customers 92% of the respondents said that their live streaming camera increases customer awareness of their business. Respondents also said to use social media for promoting their live stream with almost 75% using Facebook and 45% also using Twitter. 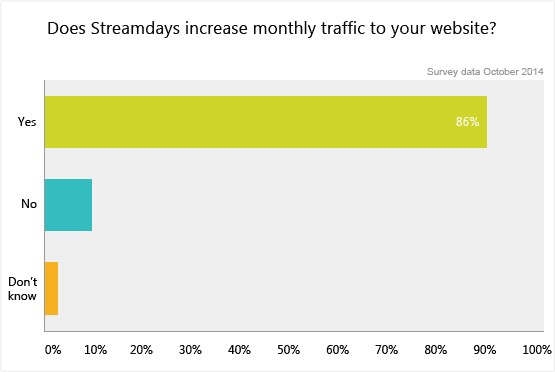 The survey also found that of the respondents 86% said that Streamdays increases traffic to their website. 24% said that their video stream has resulted in an increase in sales. Also, 96% of the respondents said that Streamdays offers value for money and 98% classed it ‘very good’ or ‘excellent’.